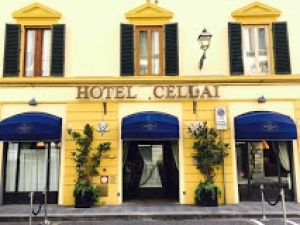 Cellai Hotel is located in Italy and I have been to this exquisite and awesome hotel before with my family. There are just too many beautiful rooms in this hotel and everything sort of spelled out and screamed at me as being luxurious and also gorgeous. The staff were all great and nice too and this hotel is in a nice location in Italy. that; very professional and perfect. We were given keys to our rooms and then we made our way. Before heading up to the rooms, I noticed the lobby as being very nice and there were lots of nice furniture around which gave the room a very comfortable feel. Everything was nicely decorated and appearing non-too traditional, and not too modern. We got some breakfast buffet set and the taste was truly awesome. There were varieties to just about everything and I didn’t know that Italians could made breakfasts pretty well. My eldest brother is actually a very fussy eater and he tends to pick at his food. form of mutual understanding to what was being said and it was kind of awkward. taking the elevator, it then dawned to us about the limited space in it. As for when we were going to check out, it was a problem as well since we had to drag our luggages down the stairs since there were a lot of other people going for check-outs. Last but not least, I would recommend this hotel to the fit and able-bodies people only, because I couldn\’t imagine how a 70+ year old grandmother would have to wait for a few rounds before managing to get into the cramped elevator. I suppose I have a pretty mixed feeling about this hotel and would give it a rating of 5.